Retail Price $ 190 US dollars. All these are very nice bottles, but I wish the stoppers would have varied somewhat among them and not only the base. 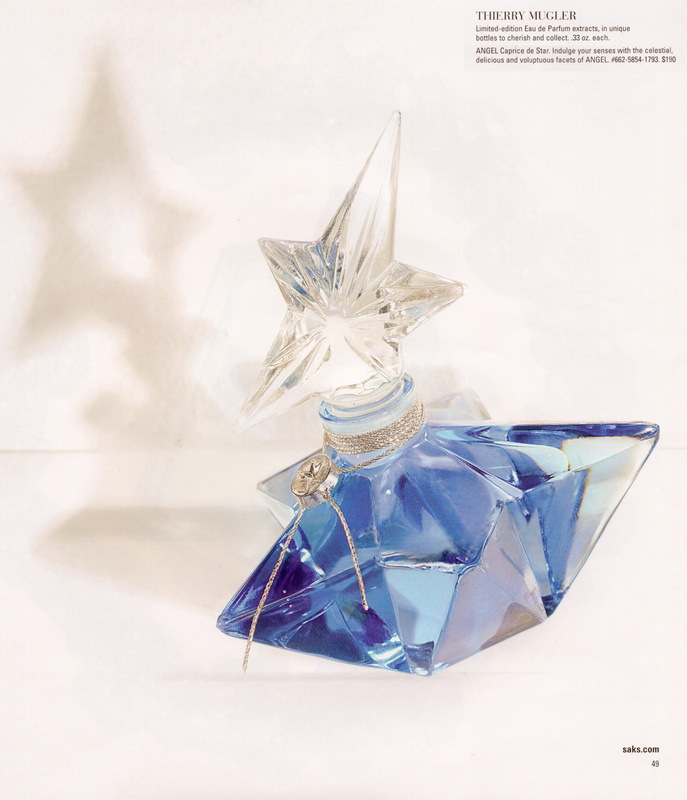 The Caprice de Star bottle has a slight blue coloration to the base glass of the bottle, similar to 2003 Mystic Star’s purple haze. Filled with Eau de Parfum EXTRAIT .33oz, it retailed for $190. This “Ultimate Star” as I have seen it called brings a silver string wrapped around the lower part of the neck of the bottle and is held in place by a nice round metallic star pin or pendant. Angel grants our dreams in revealing its ultimate star. Angel Perfume Extract: a true honey delight. To gently touch on the most sensual points of the body. 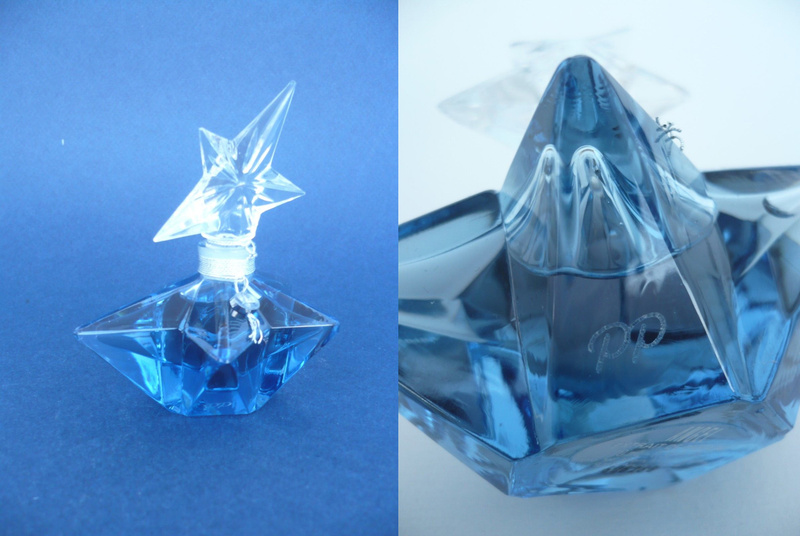 Photos of Thierry Mugler’s Caprice de Star Perfume Bottle. Top view showcasing the Swarovski stopper. 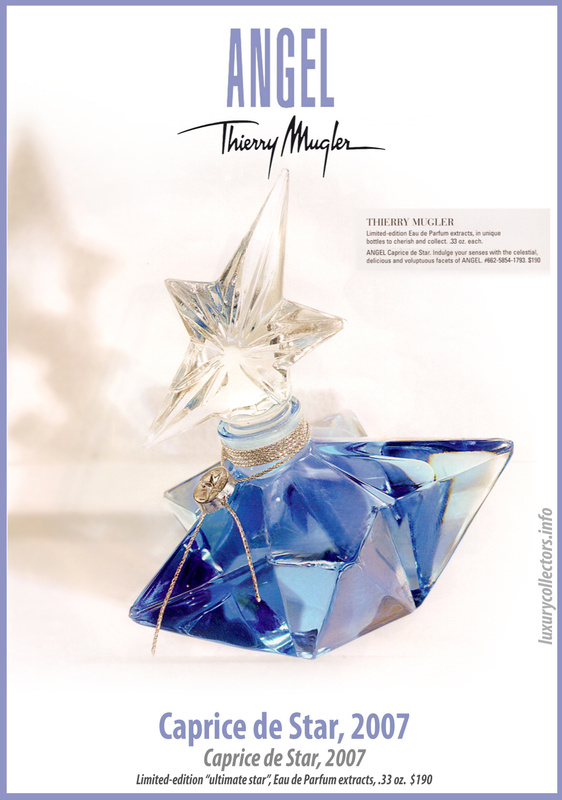 Advertisements of Thierry Mugler’s Caprice de Star Perfume Bottle. 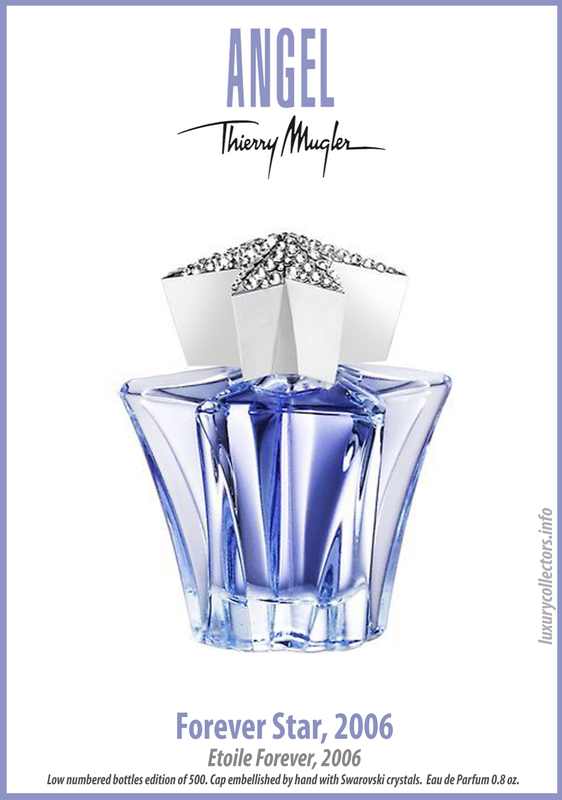 Screenshot from Mugler.com parfums, reissue included with a gift set. Photos of Thierry Mugler’s Caprice de Star Box Presentation. The black velvet box is a nice touch, shaped like a round container and inside its lined in mirror metallic paper to reflect on the bottles inner beauty. I have not been able to confirm if its numbered and how many where made, please leave a message if you have the certificate of authenticity, thanks. 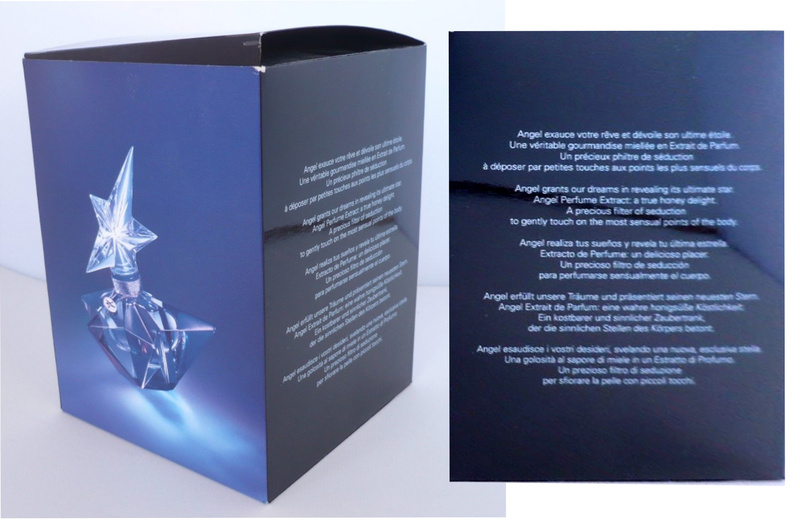 A view of the outer presentation box with text about the Ultimate Star bottle. A view of the inner black luxurious velvet mirrored case housing the limited edition bottle.